Home › Designer Products › Springtime at Loop! Is there a spring in your step? 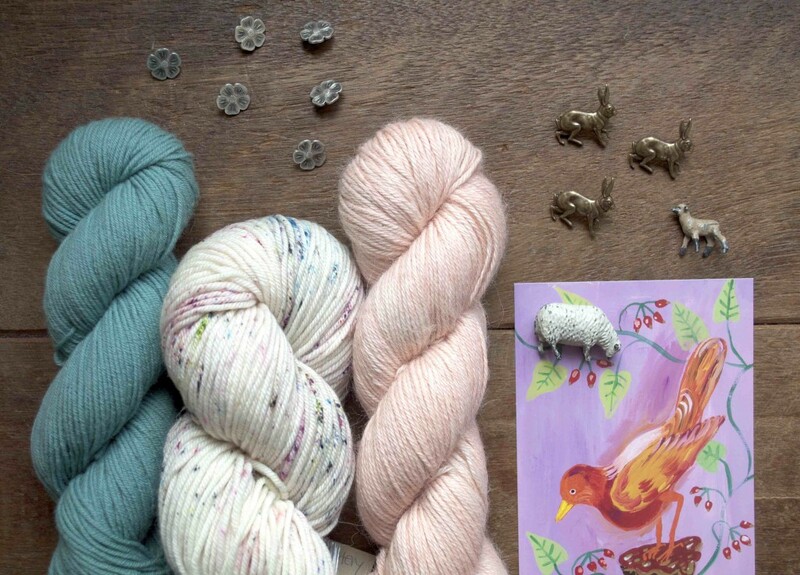 Here in London we’re starting to notice the longer days (more knitting time, right?) and the blossom on the trees starting to bloom. With Easter weekend just round the corner the blog has a distinctly spring like feel. Remember that we are closed Easter Sunday 27th March, but open as normal on Good Friday and Saturday 26th. 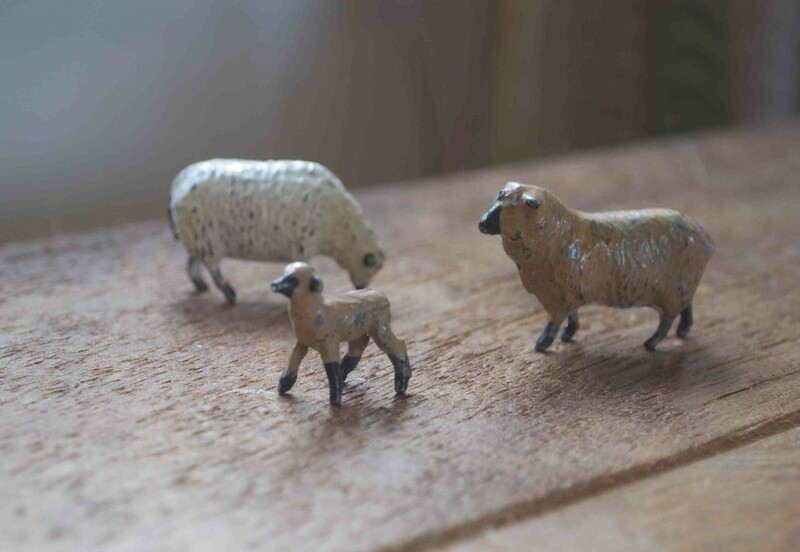 What could be more spring like that some little lambs and sheep? We’ve sourced these vintage figures from all over, so each one is slightly different with its own character. They make lovely decorations, but please note these are made of lead so do not give them to children to play with. Or how about some bunnies hopping over to join? Shown here is a Nathalie Lete silk scarf with one of her postcards, all topped off with a bronze hare brooch! March. Piper in Abilene, Amarillo and Longhorn. April. Piper in San Angelo. Quince & Co. Piper (L-R) Odessa, Pampa, Sanangelo, Avocet. Also from Quince & Co. is their Sparrow 2016 collection! These special pieces provide lighter knitting for warmer days, plus the ideal options of cool, airy tops to wear when summer does arrive. Quince & Co. Amalia. Sparrow in Maize. Quince & Co. Pippa. Sparrow in Nannyberry. Quince & Co. Zara. Sparrow in Moon and Maize. 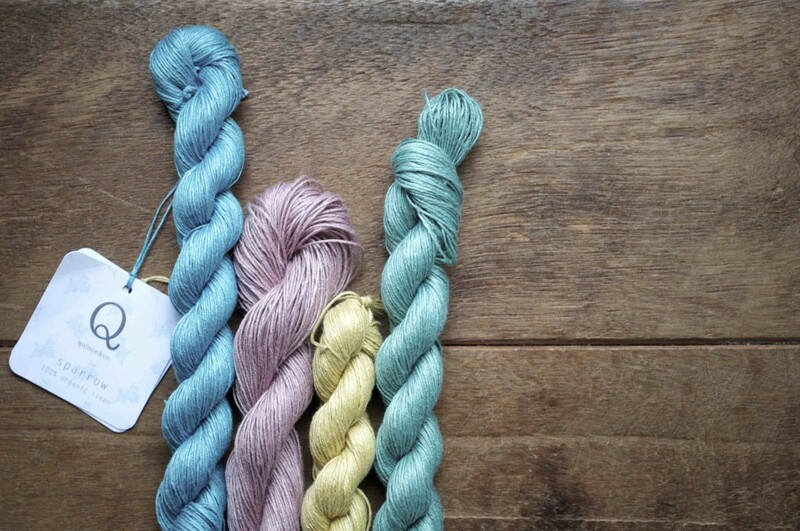 Quince’s linen yarn Sparrow has a beautiful texture, which just improves the more you wear and wash it. Quince & Co. Sparrow. (L-R) Eleuthera, Vibernum, Maize, Banyon. 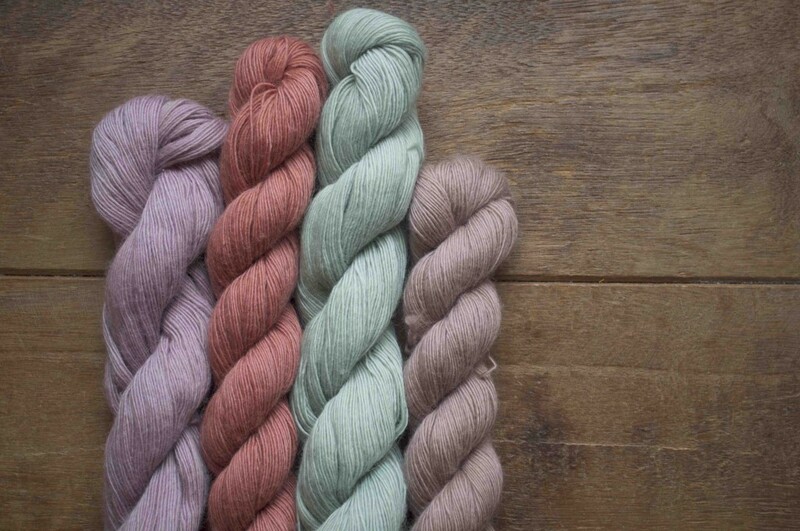 Speaking of new colours, we’ve added to our already impressive collection of Uncommon Thread shades with two heavenly pinks, Peony and Wilted Rose. 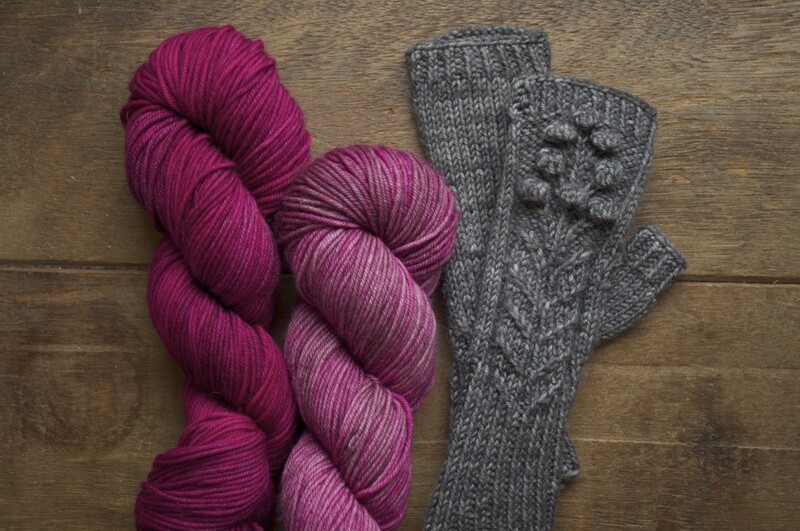 Uncommon Thread Lush Worsted in Peony and Wilted Rose and Spring Bloom Mitts. 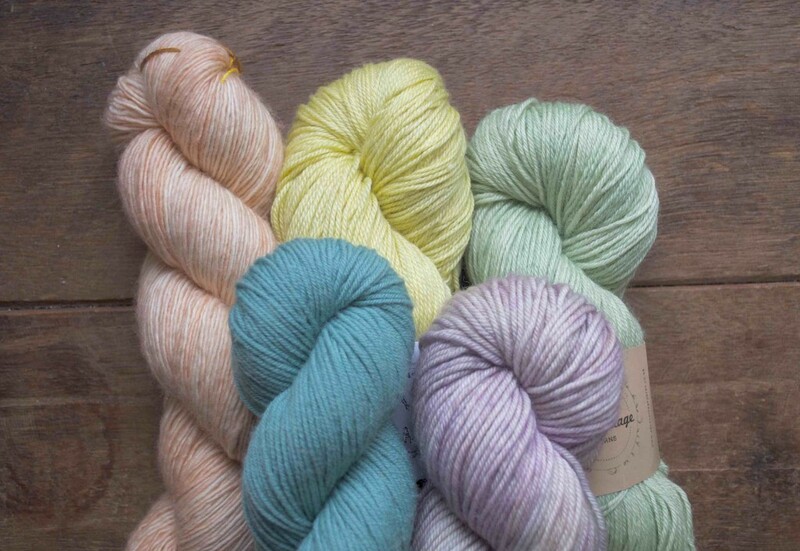 These shades are available in Tough Sock and BFL, but we’re planning a pair of Spring Bloom Mitts in the Lush Worsted to keep us toasty. 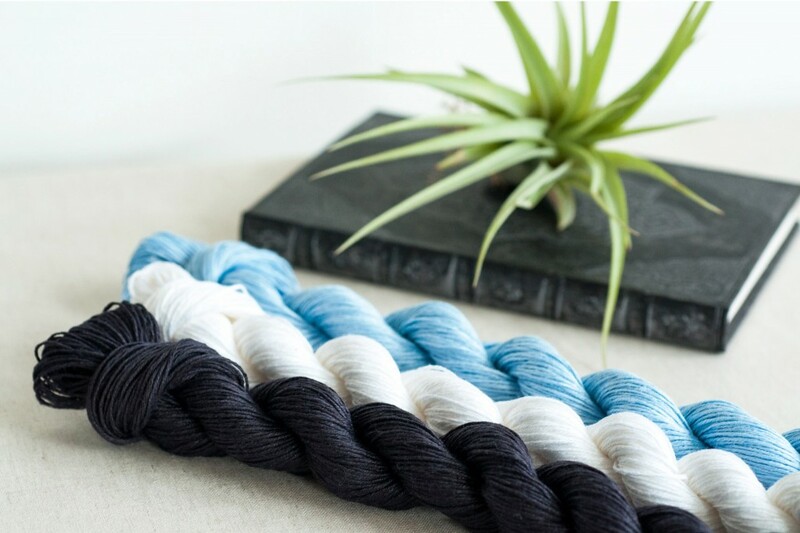 Just one skein is enough for two pairs and the pattern is a freebie from the Loop blog! Folk Bird Button and Blackbird Button. Rabbit Button, Blue and Pink. … and these elegant gold chaps too! 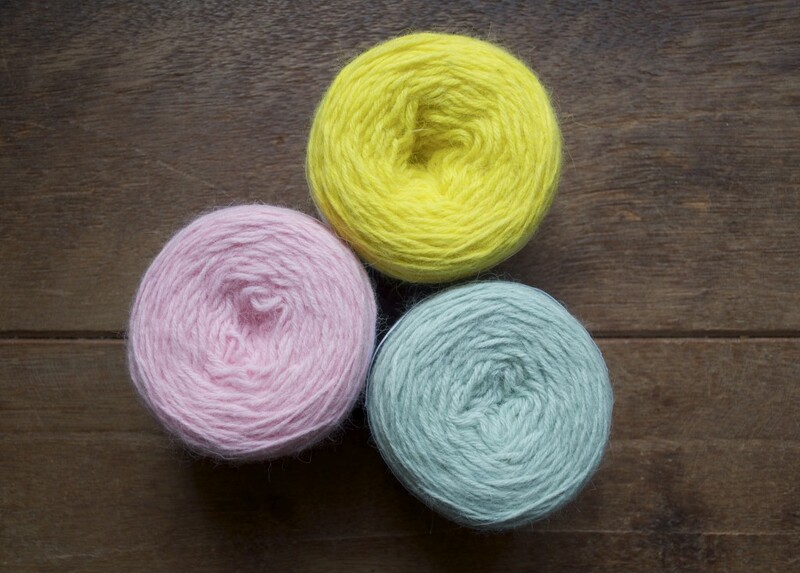 And we can’t have bunnies on the blog without mentioning the gorgeous Orkney Angora! Knit Collage Wildflower (L-R Golden Rod and Scarlet Begonia. 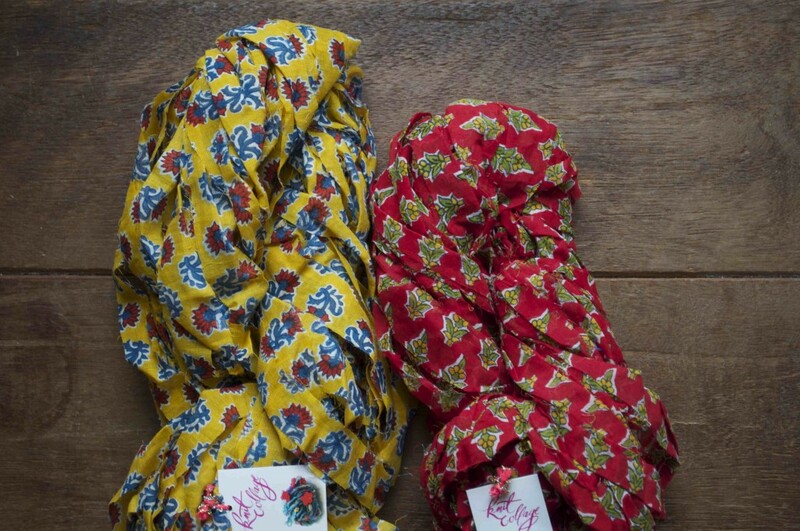 Just arriving this week from Knit Collage is Wildflower, made from fabric strips of hand blocked cotton voile. 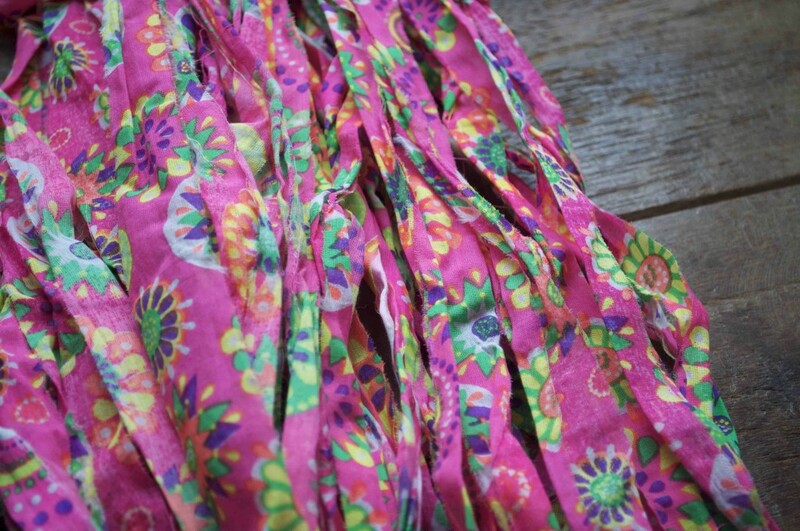 Light weight and colourful, this yarn is wonderful to use a trim or a detail on projects and also for wrapping gifts. Plus for this spring, Knit Collage have a new fabric to add the to Wildflower collection, Coral Crush. Madelintosh Merino Light (L-R) Seaglass, Beach Bonfire, Chamomile. Because of course, who said spring had to be pastels? 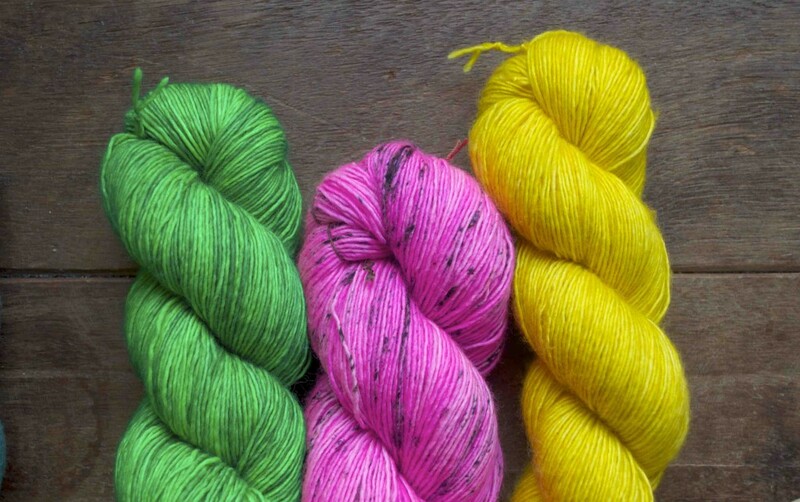 Our most recent Madelinetosh delivery has the several new eye poppingly bright shades to add a neon kick to your projects! One final thing is to announce the winner of last weeks blog post. 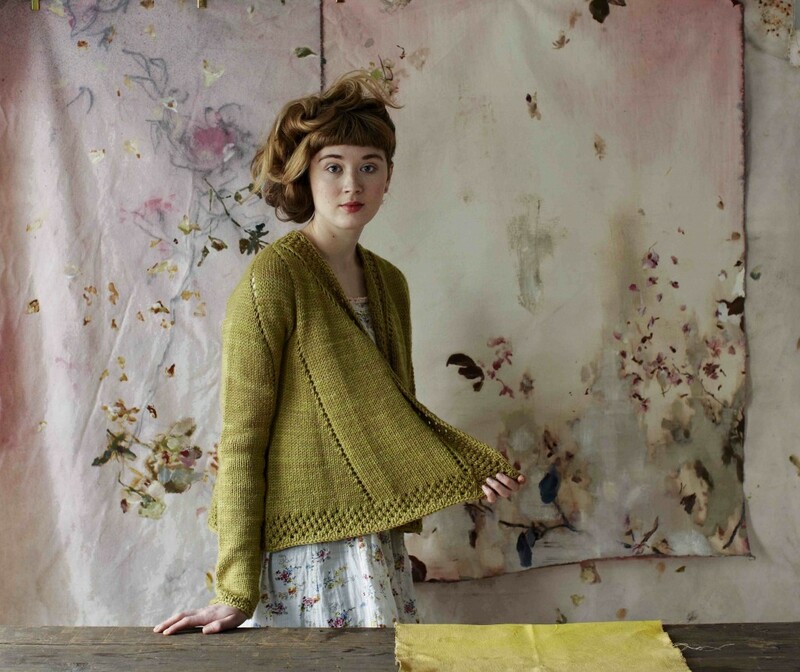 The winner of a copy of our new cardigan pattern Teazel is ….Ann Caldicott, who said ‘I would love to knit this beautiful pattern in Slag, my wardrobe would sing with this colour‘. Congratulations! We’ll be in touch to let you know how to claim your prize! CW from L Madelinetosh Merino Light ‘Pink Clay’, Shalimar Breathless ‘Peeps, Eden Cottage Yarns Bowland DK ‘Misty Woods’, Quince & Co. Finch ‘Belize’, Madelinetosh Vintage ‘Dustweaver’. Happy Easter! And remember we are closed Easter Sunday, March 27th, but open as normal on Good Friday and Saturday 26th.